In this article, I have shared a dual purpose Shiva Mantra, which has the power to cure a person as well as the power to cause diseases to a person. The Lime- Chillies or Nimboo-Mirchi Totka for removing the Evil-Eye or Buri Nazar is a most common sight all over India. The simple home-made negative energy repulsing talisman is usually tied on the main doors or houses, offices, shops and vehicles on the day of Amavasya or the Dark Moon. One usually comes across some people selling this talisman on this day, especially on street corners and traffic light signals. In this post, I have described a simple and easy to make variation of this most common talisman to increase the business or sales of a shop, office or to attract money and wealth into a home. This is a standalone Vashikaran Spell for those people who are suffering from mental turmoil and anguish because they are trapped in one-sided love affairs. One-Sided love affairs are most common among teenagers and people and it is normally a passing phase in their lives as they usually get over their crush, infatuation or obsession over the desired lover. Following is a very potent and effective Narsingh Karya Siddhi Mantra Sadhana or a Mantra Sadhana, which invokes Narsingh Bhagwan for getting success in any important work or task. Bamboo hold a special place in Feng Shui as it is considered to be an auspicious good-luck symbol for matters related to money, wealth, health, good news and circulation of positive and harmonious vibration inside a house. In these times it is not possible for most people to have a bamboo plant in their homes, hence a Flute made from Bamboo is considered to be an equally powerful Feng Shui charm, which if used effectively is said to remove Vastu Dosha from a house or any other premises. 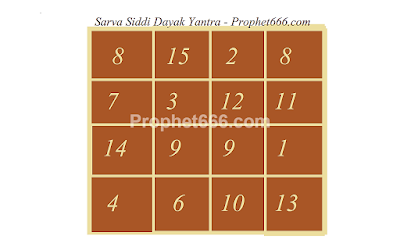 The Yantra described by me in this post is called as the Sarva Siddhi Karak Yantra or Sarva Siddhi Dayak Yantra means a Yantra, which is said to give success in any kind of task, work or wish fulfillment, including those related to enemy problem eradication or Vashikaran in matters related to love or business. I am sharing today a very special and uniqueTantra of Sanatana Dharma to get divine or godly dreams. This Tantra also helps one to get Diksha in dreams. This Tantra has been discovered by me myself and does not exist in any book or the Vedas. This Tantra is simple, I described in below in this post- Ashok Mehta. 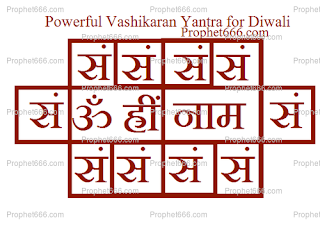 In this post, I am writing about a special Jain Vashikaran Yantra Mantra Experiment using specially prepared Vashikaran Yantra containing Beej Akshar Mantras, which is infused by a Mantra that originates from Jainism. This is a Satvik Sarvajan Vashikaran Yantra, which is believed to put a strong Occult Spell of attraction and enchantment over all those people whom the practitioner comes across in his day to day life. Following is a complete procedure of Shri Rama Mantra Sadhana for getting Siddhi over the Shri Rama Moola Mantra. In this post, I have described a very rare Hindu Ritual to exorcise a person suspected of being at the receiving end of black magic or evil-eye, Jadu Tona and Buri Nazar in the Hindi language. The same exorcism ritual can be performed for aura cleansing and can be beneficial for the practitioners of Tantra- Mantra- Voodoo and Occult, who are sometimes known to attract negative energies. The ritual can also be beneficial Tarot Card Readers, Psychics and other practitioner of the paranormal for cleansing their aura. The Vashikaran Tantra described by me in this post is believed to be a most powerful and effective Vashikaran Yantra-Mantra Prayog, if performed on the night of Dhanteras or Dhan-Trayodashi, which marks the first day of the annual Hindu festival of Diwali. This Vashikaran Experiment is conducted to increase the overall attraction powers of an individual and make him or her appear endearing, enchanting and magnetic to one and all.